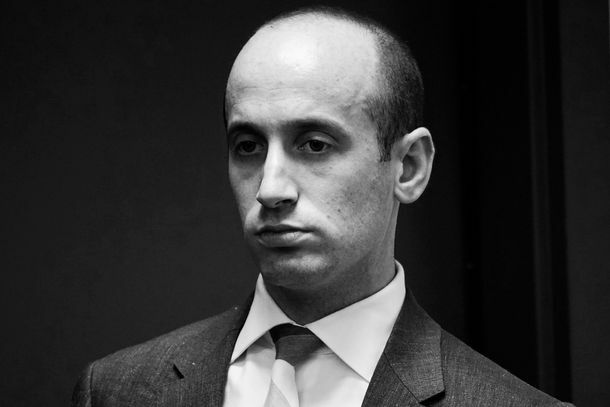 Report: Stephen Miller Intervened to Deport Individual MigrantsTrump’s most xenophobic senior aide has reportedly contacted mid-level DHS officials in a ploy to send individual asylum seekers across the border. Trump Wants America to Stop Enforcing Its Immigration LawsThe White House’s attempts to nullify asylum rights prove that its opposition to illegal immigration has nothing to do with respect for the law. Report: White House Wanted to Use Migrant Detainees to Target Political FoesThe White House reportedly considered releasing detained migrants in Nancy Pelosi’s San Fransisco district as a tactic to frustrate Democrats. Trump Wants a ‘Tougher’ ICE Director. What Does That Mean?After a Homeland Security shakeup, it appears that Stephen Miller may be gaining even more influence over Trump’s immigration and border policies. Stephen Miller Gets Roasted by His Third-Grade TeacherShe says he was a “loner” who ate glue off his arm. Jerry Falwell Jr. Urges Trump to Fire SessionsJeff Sessions was a long-time Christian-right stalwart and an early Trump endorser. But he’s violating a new litmus test: Don’t cross the boss. Stephen Miller Called Out As ‘Immigration Hypocrite’ by His UncleThe policies Miller supports would have kept his own family out of the U.S., his uncle says. Trump Administration Attacking Legal Immigrants NextThere’s a new plan to harass immigrants who have used Obamacare or food stamps. So much for the excuse that it’s just about law enforcement. Trump Mulls Slashing Refugee Admissions by 40 PercentAmid a global-migration crisis, the world’s wealthiest country is poised to cut refugee admissions to historic lows. Trump Staffer Forced Out After Daring to Stand Up for RefugeesIn a xenophobic administration allergic to inconvenient facts, this may be the ultimate sin. Stephen Miller Owned the Libs by Throwing Away His Own SushiThe Trump administration’s self-defeating nationalist agenda summarized in one anecdote. Trump’s Immigration Chaos: Incompetence or Deliberate Trolling?Trump aide Stephen Miller’s sloppy policy rollouts could be the result of his inexperience and paranoia, or maybe he just loves taunting liberals. Michelle Wolf Mini-Roasts the White House Over Family-Separation PolicyHey, it’s what everyone loves/hates her for! Chaos on the Border, Chaos in TrumplandThe messy and confusing implementation of the president’s wishes on border policy resembles nothing so much as the travel-ban nightmare. Real-life Stephen Miller Now Creepier Than Onion Parody VersionTrump’s immigration adviser “enjoys” the suffering of the children. Family Separation Is the Opening Salvo of a Broader Anti-Immigration OffensiveIf you liked “zero tolerance,” Miller and Trump have a lot more anti-immigrant ideas where that came from. We’re Getting a Taste of the Backlash Mass Deportation Would CreateKids in cages at the border have aroused the conscience of the country and put the GOP in a bind. Mass deportation of the undocumented would be worse. Separating Families at the Border Was Always Part of the PlanTrump and administration officials like Stephen Miller view the detention of immigrant children as a long-awaited victory. Trump Blows Up ‘Compromise’ House Immigration BillThe president has now positioned himself to the right of his hard-core immigration adviser, Stephen Miller, which is difficult to do. What 22 Trump Staffers Looked Like in High SchoolWho would have thought they’d one day work for the 45th president of the United States? 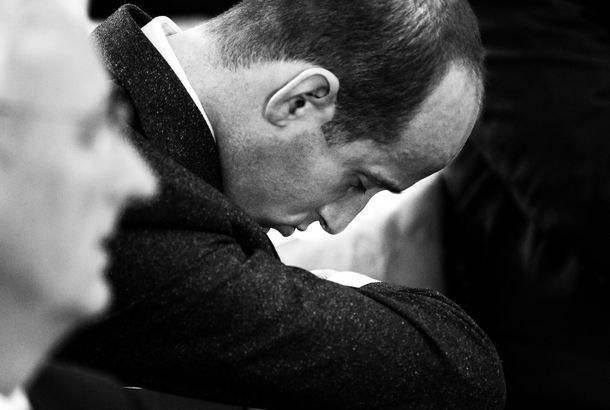 Looks Like Stephen Miller Took a Little Nap During the School Safety MeetingSomeone’s sleepy. The Dispute Dividing the GOP in the Debate Over ImmigrationSenate Republicans are resisting the House–Trump effort to force restrictions in legal immigration into a deal with Democrats. But maybe not for long. Stephen Miller Attacks CNN’s Journalism During Softball Fox News InterviewHe said he’s glad his off-air jabs at Jake Tapper were made public, but denied he had to be escorted off set. It Appears Stephen Miller’s CNN Meltdown Wasn’t Just for ShowJake Tapper suggested he was hamming it up for the president, but Miller reportedly had to be escorted from the studio. Trump Adviser Once Crashed a Track Meet to Prove He Could Run Faster Than GirlsStephen Miller was quite the guy in high school. This White House Aide Is Trying to Sabotage Trump’s DACA DealThe Breitbart wing of the White House is pushing for Trump to demand radical cuts to legal immigration in exchange for showing Dreamers his mercy. Trump White House Reportedly Nixed Study Showing Benefits of RefugeesIt didn’t line up with their anti-immigrant ideology. Trump Administration Considers Cutting Refugee Cap to Lowest in DecadesAfter reducing the refugee quota to 50,000 in 2017, the Trump administration may go even lower in 2018.
Who Knew Pauly Shore Could Do Such a Fantastic Stephen Miller Impersonation?The Statue of Liberty isn’t holding a book, it’s holding an iPad.